President Keith Wigglesworth and Sister Pam Wigglesworth presided over the ELM from 1992-1995. Both natives of Leeds, Brother Wigglesworth was born into the Church while Sister Wigglesworth was a teenage convert. They were living in Reading Stake at the time of the call. Brother Wigglesworth had previously served as Reading Stake President, Regional Representative and now serves as Stake Patriarch in Poole Stake. 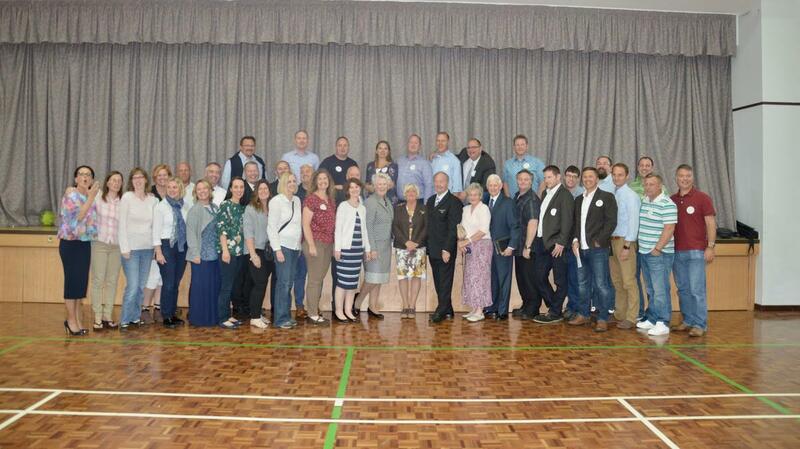 Whilst several mission reunions have been held in Salt Lake City over the years, this was the first UK located reunion for the Wigglesworth years. However this wasn’t straight forward. Both were enjoying retirement and spending time with family and loved ones. However, after some gentle persuasion they agreed to hold a reunion celebrating 25 years since their service. Steven Marshall (currently serving as Liverpool Stake President) and Jonathan Cairns (Bishop of Worthing Ward) were quickly put to work to organise the reunion. 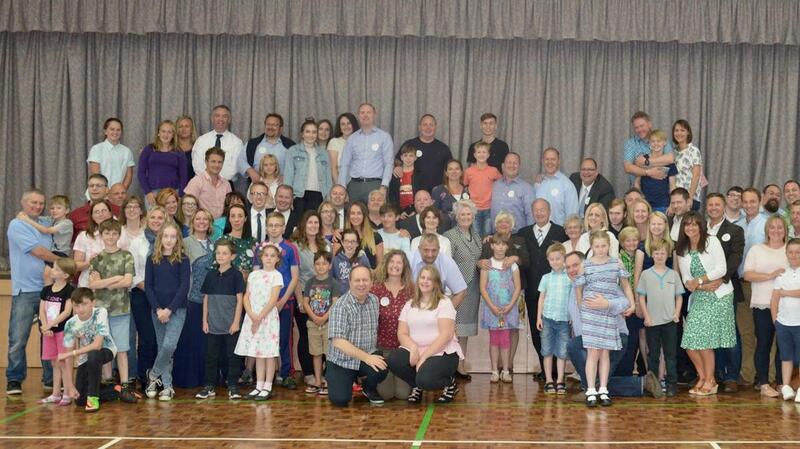 The reunion was held on Saturday 2nd September at Reading chapel. It was a wonderful occasion with over 100 in attendance. Former missionaries and their families had travelled from all over the UK, plus others from Finland, Germany, France, Ireland and Switzerland. There were two who had even travelled from the USA! One of the highlights of the reunion was the opportunity to hear experiences and testimonies from President and Sister Wigglesworth along with special guest Elder Kenneth Johnson (Emeritus Seventy) who served on the Area Presidency while President Wigglesworth was Mission President. Friendships were renewed and a spiritual bond was felt that united not only each missionary but their families also.